Would You Like A Cup of Sri Lankan Tea? 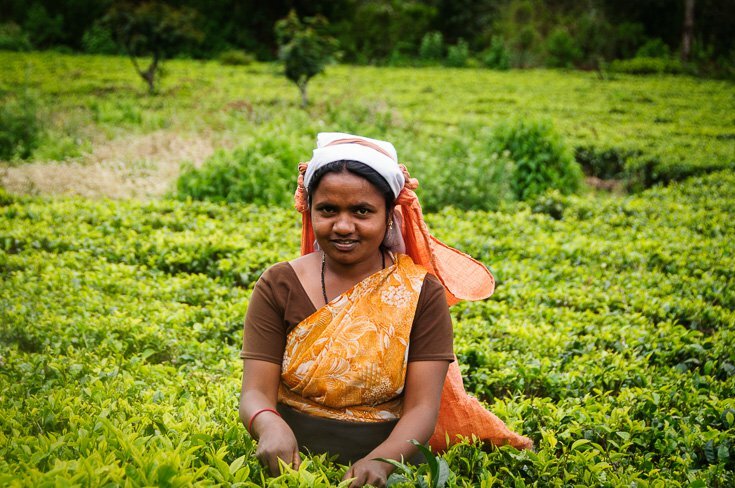 Have you ever wondered where your cup of tea comes from, and how it is produced? 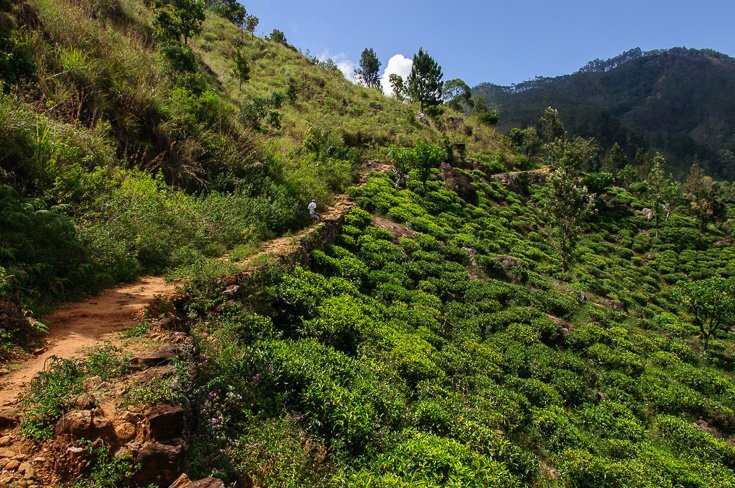 Welcome to Sri Lanka`s Hill Country, home of the famous Lipton tea! Or maybe you know Sri Lankan tea as “Ceylon Tea”, as it is branded internationally. 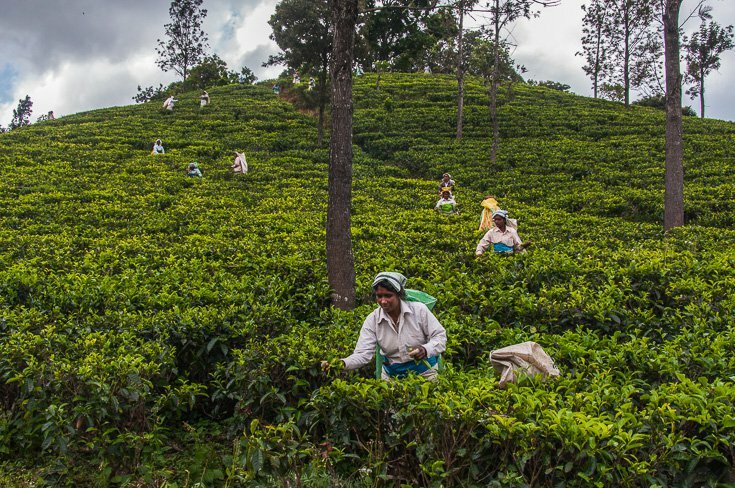 Tea first came to Sri Lanka in 1824, for a botanical exhibit, planted by the British. At that time, nobody had any idea what kind of impact the introducing of this plant would have to Sri Lanka. 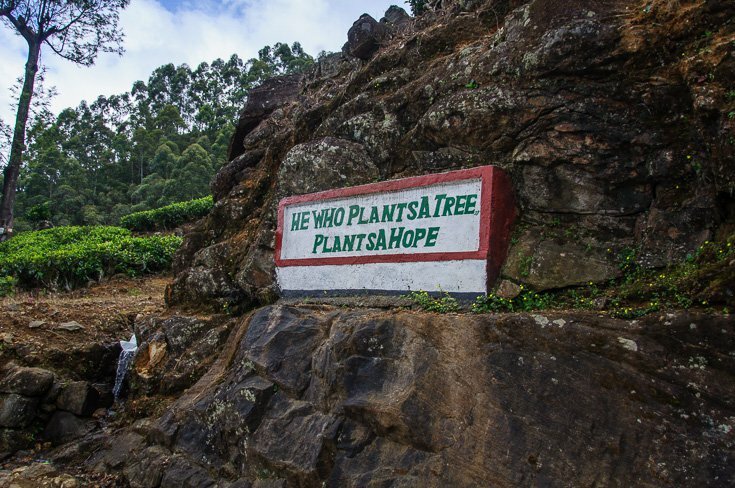 The real tea production began in 1867 after a disease had destroyed a lot of the coffee plantations on the island. 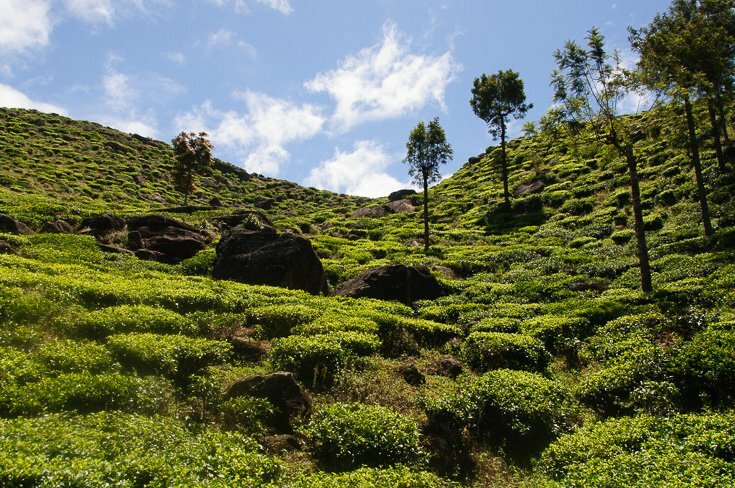 British plantation owners soon found out that the Hill Country`s climate, high altitude and hillsides were perfect for tea growing. Sri Lankan tea soon became more and more popular in London and the rest of tea-drinking Britain, making tea production spiral upwards. The early growers obviously managed to do something smart with their branding, as almost everybody worldwide has heard of Lipton Tea! 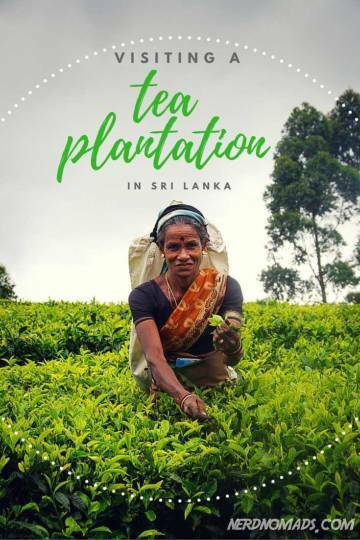 Sri Lanka was in 2008 the second most important tea producing country in the world, producing 330 million kilograms each year! Today it is no. 4. Pretty amazing for such a small country if you ask me! 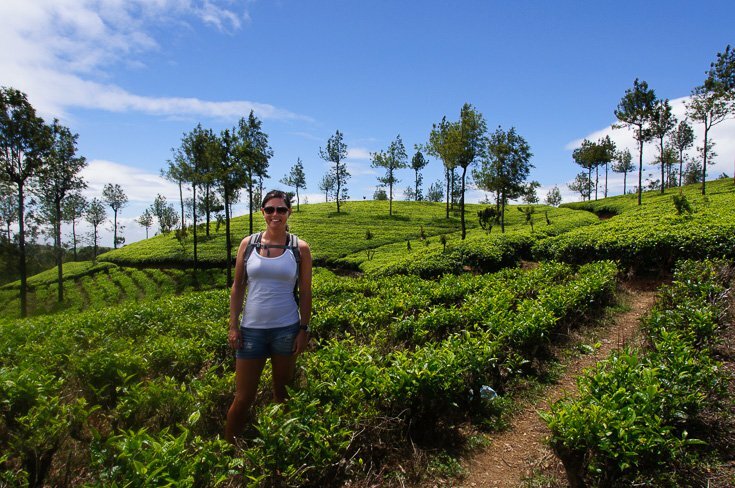 On all the walks we did around Ella, we walked through huge fields of tea plants! 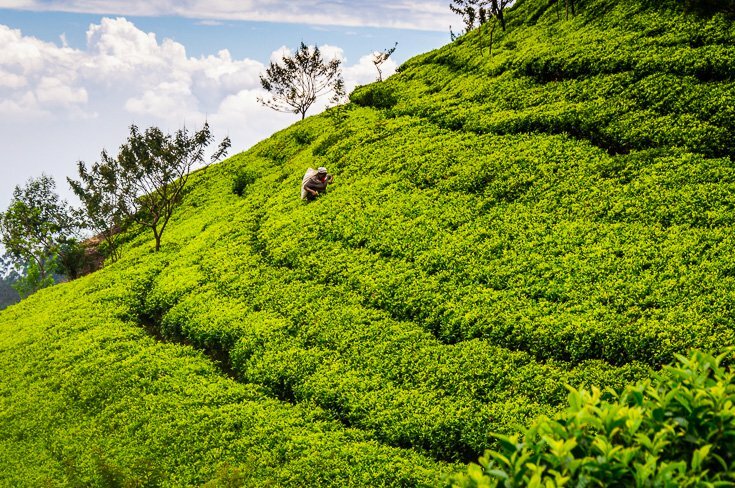 There were lush and green tea plants as far as the eye could see. It was like being surrounded by a green sea of tea! So beautiful! 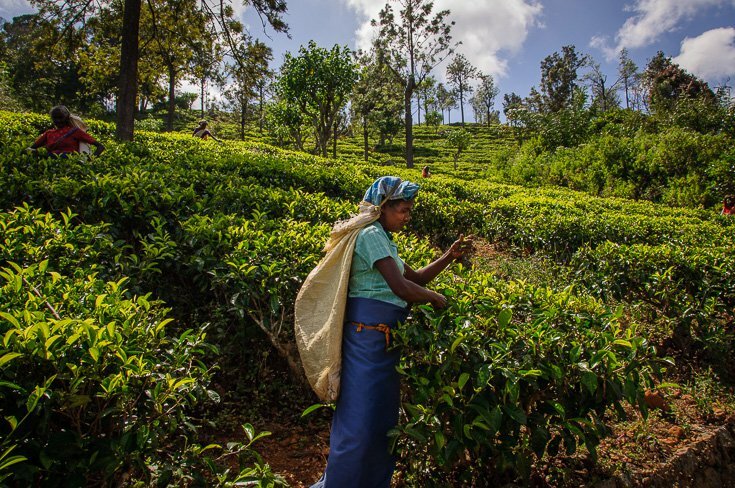 Sri Lankan tea is considered better quality and is therefore more expensive than tea from India, the worlds market leader within tea production. 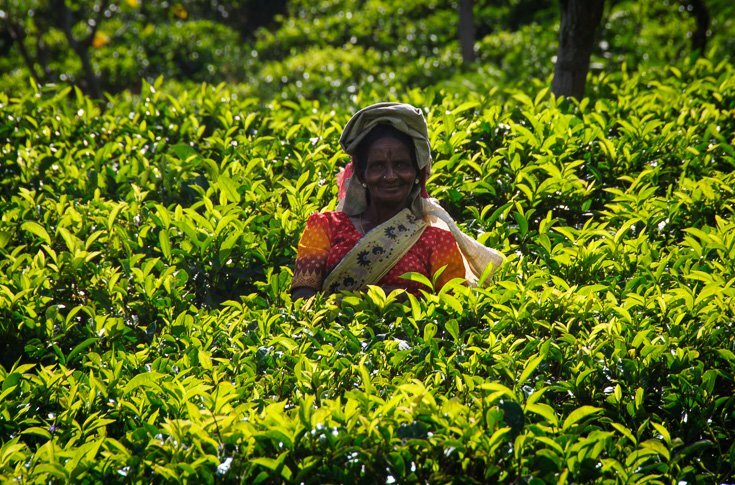 The Sri Lankan tea crop is valued 1 billion US$ yearly, and is 15% of the country`s economy. 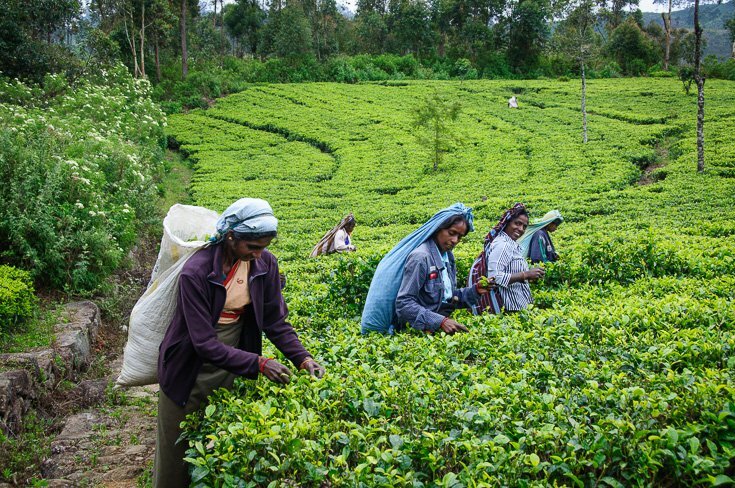 Today the tea industry in Sri Lanka gives work to more than one million people, about 5% of the entire population, so it is important for the people of Sri Lanka. The tea pickers wages are very low, though, only around 3 US$ each day. It is expected that each of them harvest a minimum of 20 kg of leaves per day. Wow, that is a lot of tea leaves per day! When the British tea owners started tea production in Sri Lanka, the Sinhalese did not want to work in the tea plantations. So the British brought a huge amount of Tamils from India. 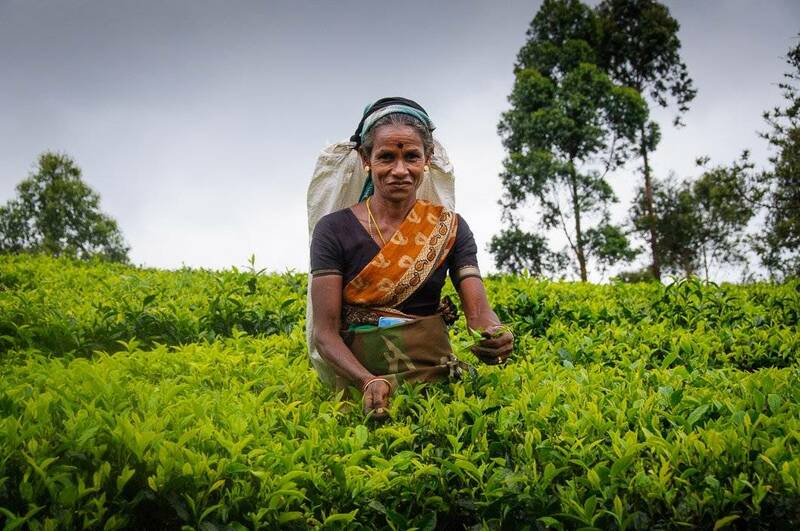 Even today most tea workers are Tamils. 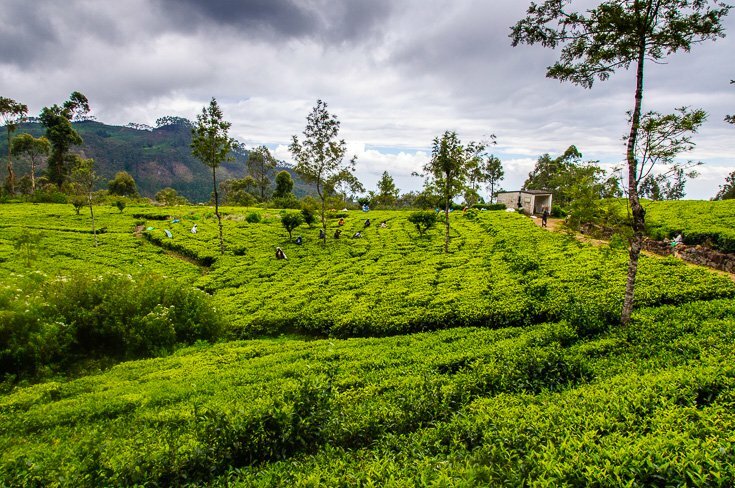 The tea plantations cover approximately 1900 km² of Sri Lanka, primarily in the Hill Country where the growing conditions are best. 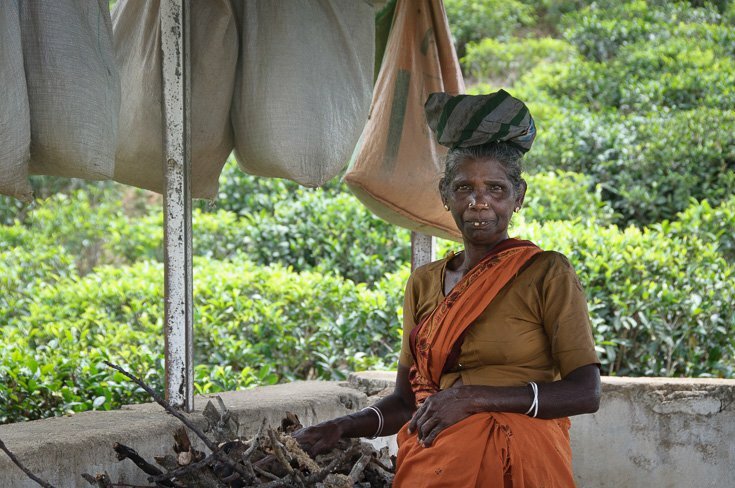 On our walks, we met a lot of tea pickers, mainly Tamil women, but also some men. They were moving elegantly through the rows of tea bushes picking the leaves and buds at an impressive speed! From our walking guide, we learned that the tea pickers pick the entire green leaf off the tree, but only the smallest and freshest tea leafs on top of the branch becomes white tea. The rest becomes green or black tea. That explains why white tea is more expensive than green and black tea. 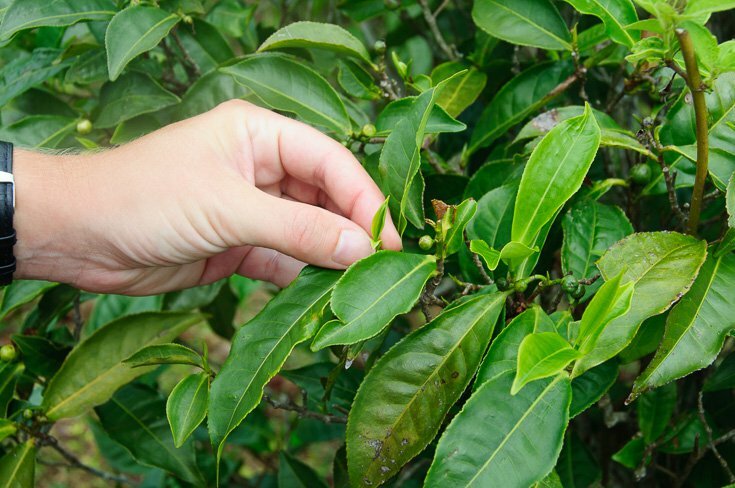 This small tip of the plant, is all that will be used for white tea. 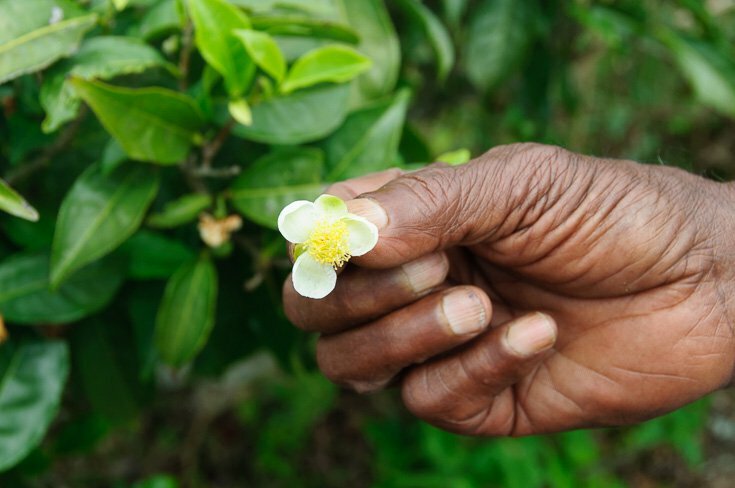 They also pick tea flowers, which give a particular flavour to the tea, like the one our guide is showing here. 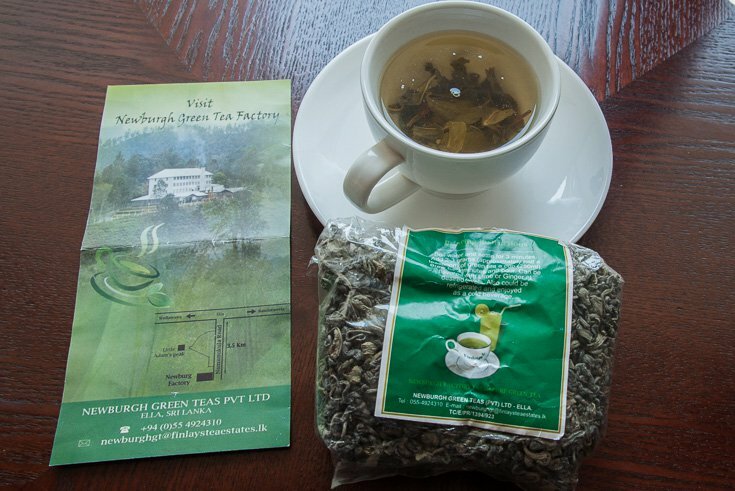 We visited one of the tea factories in Ella, Newburgh Green Tea Factory. The tour cost 250 rupees and lasted about half an hour. The Newburgh estate is more than 100 years old, established in 1884, and the factory in 1903. On the tour, we were shown the whole production process. Unfortunately, we were not allowed to take photos inside the factory, but I will try to explain what we saw and learned. Inside the factory tea leaves were spread out on mats on the floor, in huge piles. First the leaves were demoisturiesed by blowing air through them at a fixed temperature in a huge and noisy machine. The partly dried leaves were then crushed, and more heat were added to the leaves, making them turn coppery brown. With even more heat they became black/ brown, as we are used seeing the tea. From the tea leaves are picked, till they are processed and placed in bags for shipping, takes around 24 hours. There is a definite art to the whole tea producing process, which has been refined and evolved over decades, making tea what it is today. We also learned that tea is graded by size and quality, from cheap dust till more expensive leaf tea. The whole leaves are best, and the young tips are the very best. 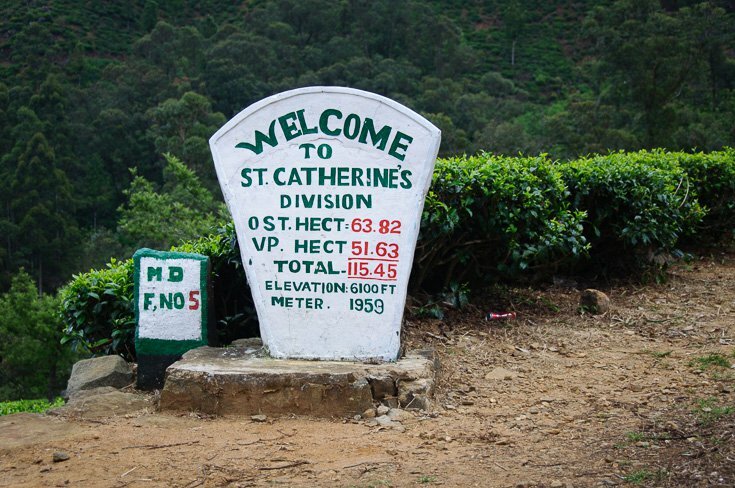 Tea grading doesn’t stop there, oh no, it is also categorised into low-grown (under 600 m), mid-grown and high-grown (over 1200m). The low-grown is apparently high in body but low in flavour, and the high-grown are more slowly grown and have more flavour. Well, that kind of makes sense or? I also bought some green tea in the factory and have a cup each morning on our travel. It tastes really good! A pack of 200 g cost 200 Sri Lankan Rupees. 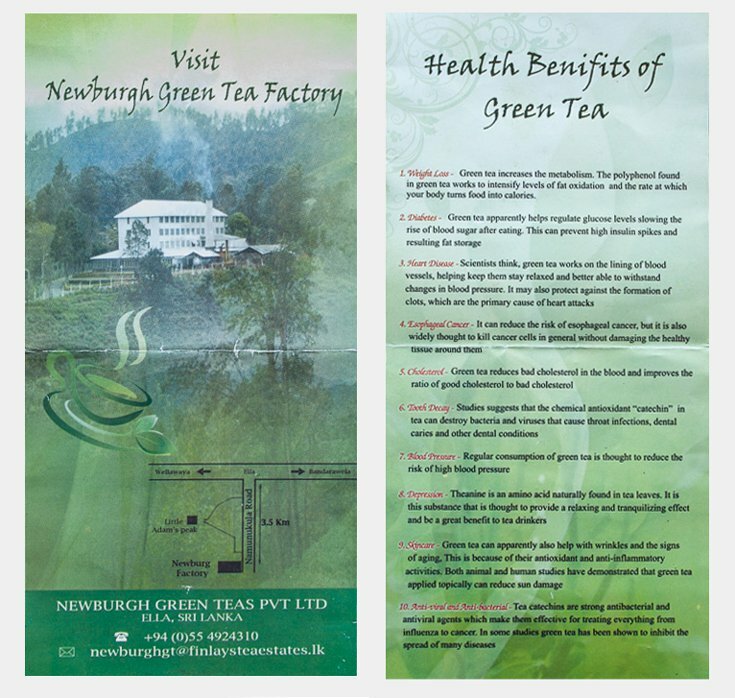 On the tour, we were given a cup of tea and a pamphlet mentioning all the health benefits of green tea. I really love tea, and drink it every day, as I don`t like coffee. It was very fun and interesting for me learning and seeing how tea is grown and produced! 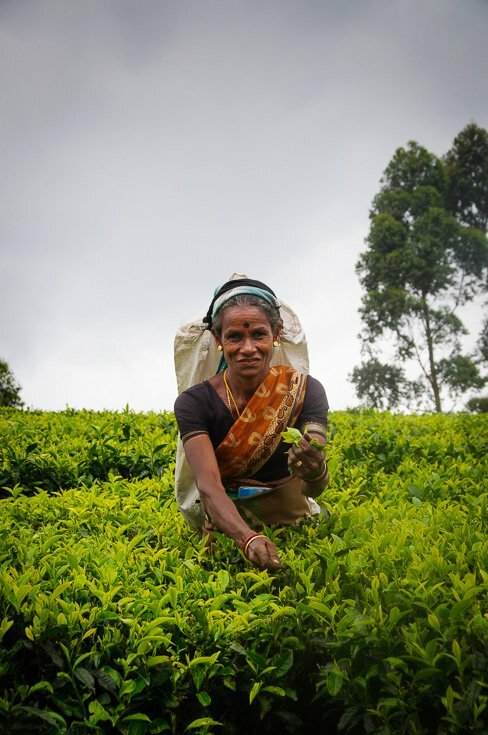 I also enjoyed meeting the tea pickers on our hikes. We haven’t been to Sri Lanka yet but it looks amazing! Lovely photos as well! If you guys like photography, we would like to invite you to participate in the next edition of our Travel Photography Competition. Every week we publish 3 winning shots on our website and write a nice bio with a link to the photographers’ websites/FB/Flickr pages. Thank you so much for your nice comment! Have a great trip to Sri Lanka and Ella! I`m sure you will love it just as much as we do. 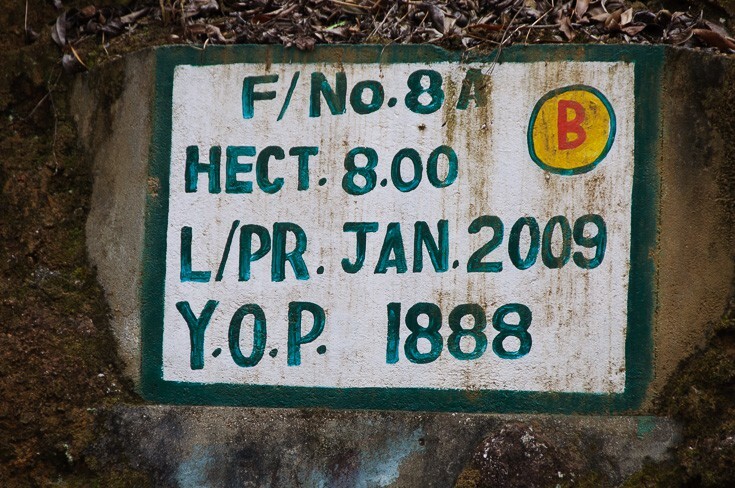 Where is it: Ella – 202 km from Colombo, in the middle of the island. Fun fact: Ella only received electricity in 1984! How to get there: By train, bus or car. We rented a car with driver from Tangalla to Ella (4 hours). 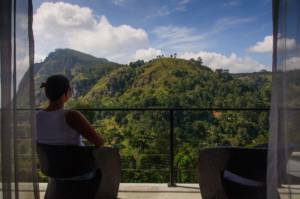 Where we stayed: Ravana Heights Hotel. Had planned to stay 2 nights, but ended up staying 7! Such a lovely hotel with great staff and service! Also amazing views! Internet: We had wifi in our room, and in the restaurant. There are also free wifi at many restaurants and cafes in Ella Town. Where we ate: We ate all our meals at Ravana Heights Hotel where we stayed. Great food! Each dinner was an explosion of flavours! If you are not staying here, you MUST eat here! Probably the best food you will get in the whole of Sri Lanka! 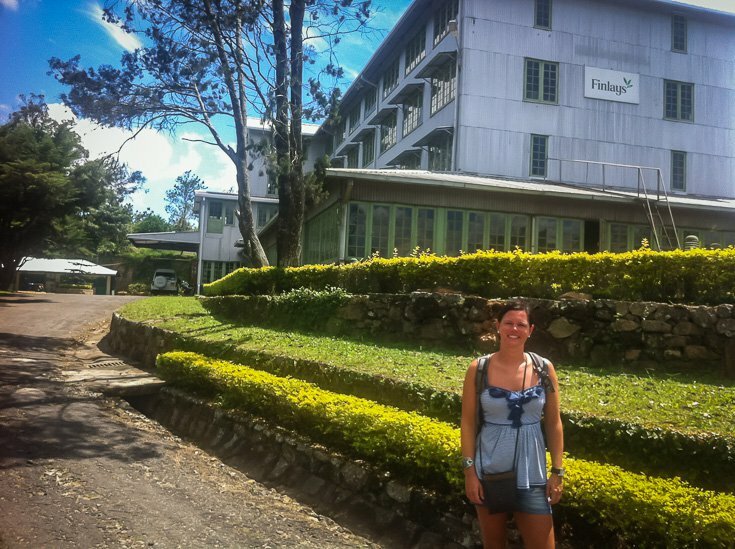 What we did: Hiking trips in the mountains around Ella, including Little Adam`s Peak, and visited a tea plantation and factory.